Babazadeh Darjazi, B. (2014). The Effect of Extraction Methods on Murcott Mandarin (Citrus Reticulata) Peel Components. International Journal of Advanced Biological and Biomedical Research, 2(6), 2109-2119. Behzad Babazadeh Darjazi. "The Effect of Extraction Methods on Murcott Mandarin (Citrus Reticulata) Peel Components". 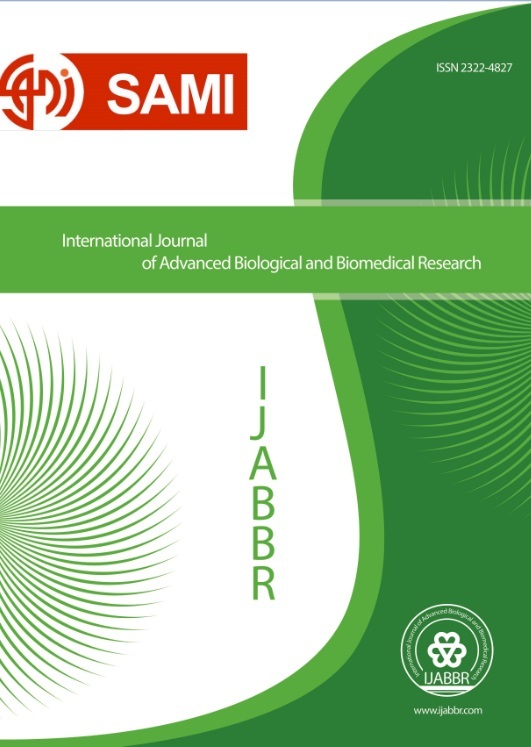 International Journal of Advanced Biological and Biomedical Research, 2, 6, 2014, 2109-2119. Babazadeh Darjazi, B. (2014). 'The Effect of Extraction Methods on Murcott Mandarin (Citrus Reticulata) Peel Components', International Journal of Advanced Biological and Biomedical Research, 2(6), pp. 2109-2119. Babazadeh Darjazi, B. The Effect of Extraction Methods on Murcott Mandarin (Citrus Reticulata) Peel Components. International Journal of Advanced Biological and Biomedical Research, 2014; 2(6): 2109-2119. Studies had shown that oxygenated compounds are important in food products. It seems that extraction methods had a profound influence on this factor. The goal of the present study is to investigate on flavor components of Murcott mandarin obtained using cold-press and hydro distillation. In the last week of January 2012, at least 50 mature fruit were collected from many parts of the same trees. Peel components were extracted using cold-press and hydro distillation method. Then all analyzed using GC and GC-MS. Data were analyzed using one-way analysis of variance (ANOVA) and Duncan’s multiple range tests. The amount of aldehydes ranged from 0.36% to 0.66%. Between two methods examined, cold-press showed the highest content of aldehydes. As a result of our study, can be concluded that the extraction methods used can influence the quantity of oxygenated compounds present in the oil. The application of Cold-press method can cause a lesser damage to thermal-sensitive molecules, so can be a good technique to recovery of Citrus compounds in large industrial scale.